Too bad to see a local business closing on U Street. 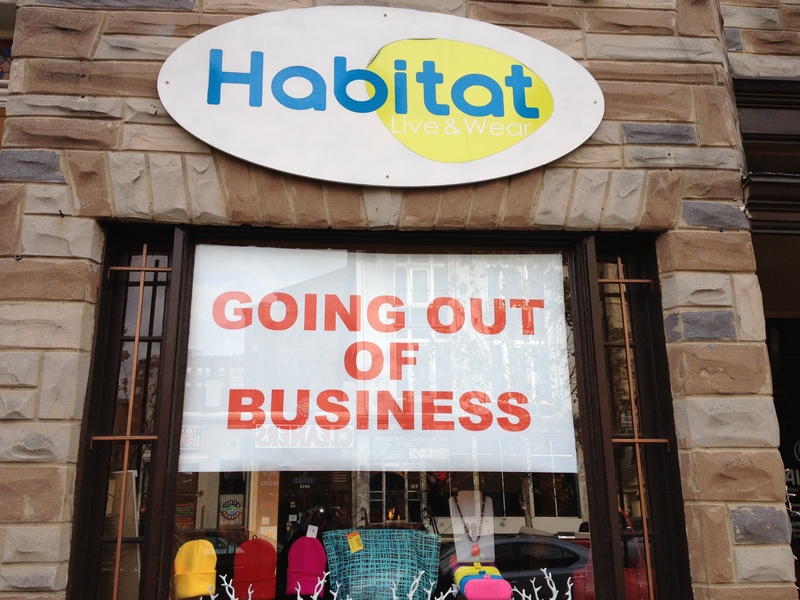 Habitat has been on the block for about ten years now. I wasn’t able to find out when they will be closing – but do stop by in the coming weeks to say goodbye. Update: They will be closing at the end of January. Well, this is a strange place to put a modern apartment building: in the parking lot of the affordable senior housing at 15th and V. Meridian Hill Neighborhood Association reports that Jair Lynch Development Partners, who built Solea at 14th and Belmont, is proposing a 95-unit, 9-story building. Lynch has acquired the property and plans to renovate the affordable senior housing complex, upgrading the units, common areas, and elevators. The outdoor area will also be redesigned for residents and will incorporate more green space. 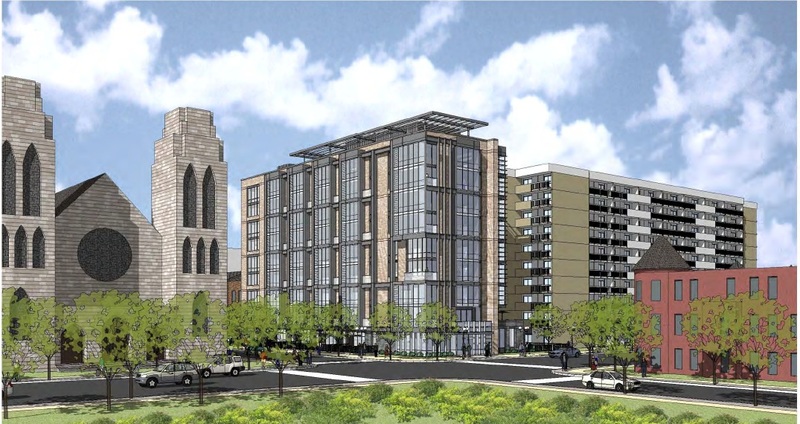 The project has been submitted to the Historic Preservation Review Board for review. Thanks to Aaron at DCist for spotting this awesome mural that’s gone up at 15th and U. Aaron explains that the building is owned by DC Vote founder Daniel Solomon. DCist reports that the mural was something that Solomon had been aiming to do for some time. Think it looks pretty great, and is quite a statement. 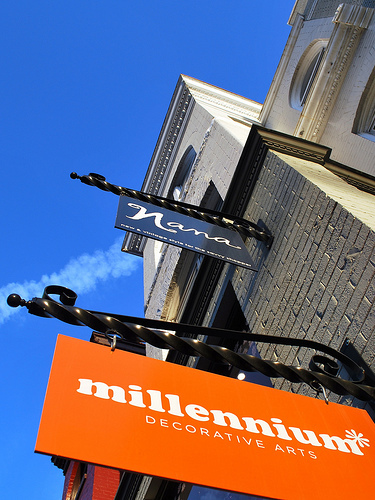 As if there weren’t enough vintage and similarly-minded stores on the 15oo block of U Street, two more have opened in the past few months. It’s taken me a while to get to Dr. K’s Vintage, as I’m a bit busy during my weekends with my other gig, but I finally made it out to the new stores last weekend. Newly opened in the old Nana’s space, Rock It Again comes from the owners of a vintage stall that has been in Eastern Market for years. 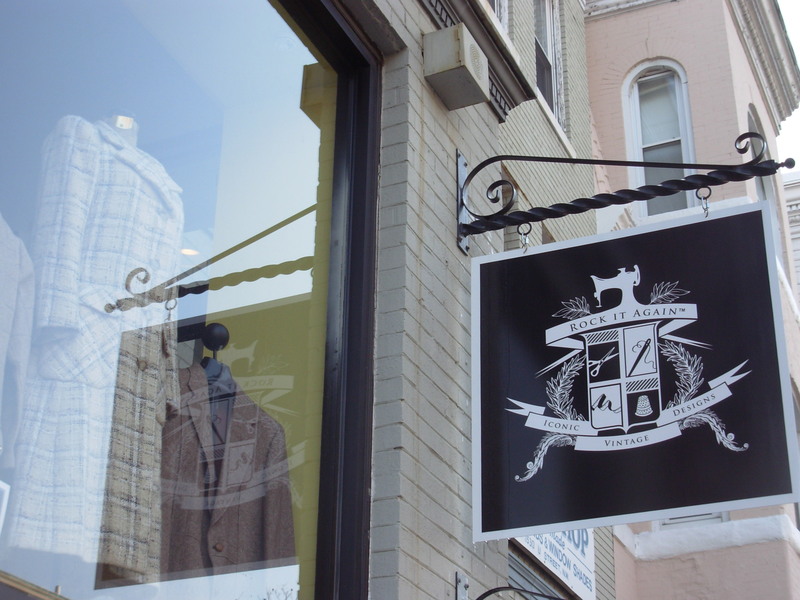 When I stopped into their newly opened store, I noticed that most of their inventory is coats and jackets right now. They have a decent mix of men’s and women’s clothing, which is nice to see. They also have some higher end labels, I did spot a few Feragamo’s and in general the store seems well curated and not overly crowded. In contrast is Dr. K’s Vintage. Just down the block, this is your get down and dirty, browse for hours to find a gem type of store. There is a lot of variety, from old Ts to ripped jeans to a lot of shoes. Like Rock It Again, Dr. K’s has a decent percentage of men’s clothing. Prices are cheaper, there aren’t fancy labels, but it’s the type of place where if you dig, you could strike gold. This has been bugging me for a while (since May in fact). At first it appeared that Station 9 (15th/U) had closed, but then readers said they were open only during the weekend. They also appeared to no longer serve dinner. 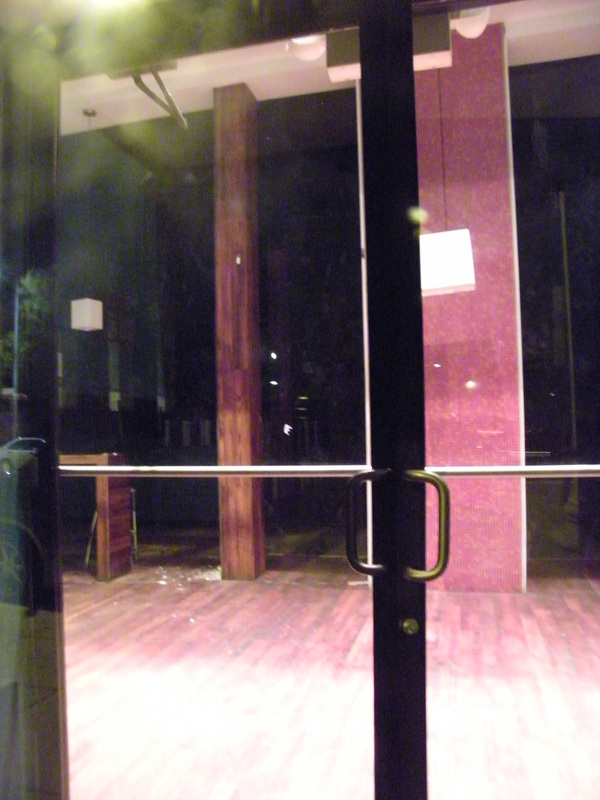 But, as I walked by Friday night, I took a peep in to find locked doors, and what looked to be an empty interior. It wasn’t prime going out time (pre 8 pm) so I guess there’s a chance that they open later – but I wouldn’t bank on it. Can anyone prove me wrong? Have you been to Station 9 in the last few months? Tom Sietsema broke the news that the old indoor Garden District space will become Estadio, a Spanish restaurant from the group that brought you Proof. I loved my birthday dinner at Proof so I’m pretty excited about this development. MPD’s 3rd district listserv has information about a pretty scary altercation that happened at 16th and U on Sunday afternoon – a fight that started in the McDonald’s escalated to someone pulling a gun and hitting a victim with a bat before the assailant got away. Tom Sietsema also reports that there is a new chef at U Street Girl favorite, Creme. Orlando Hitzig, formerly of Columbia Firehouse, will be cooking nightly specials to showcase his cooking, but no fears, Creme lovers, the fabulous shrimp and grits stay on the menu. And, DCist has pictures of a contrary-flow bike lane that has been installed on 15th street from U to Massachusetts Ave.